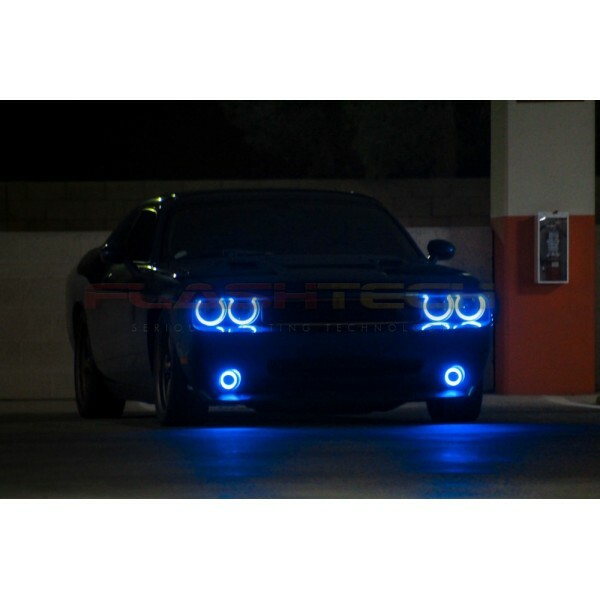 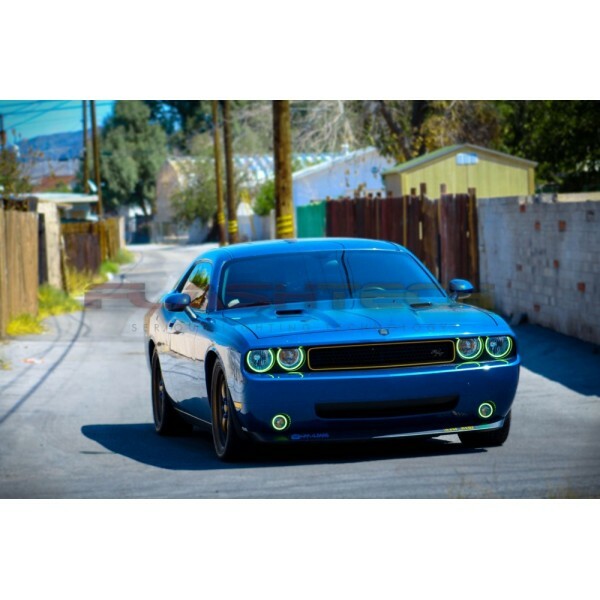 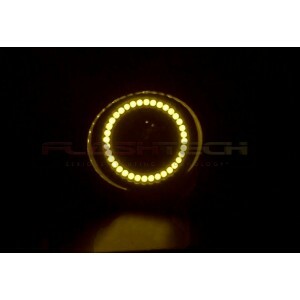 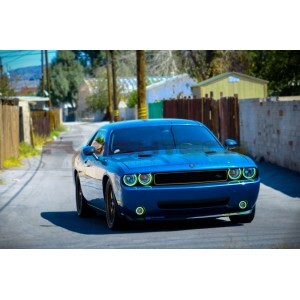 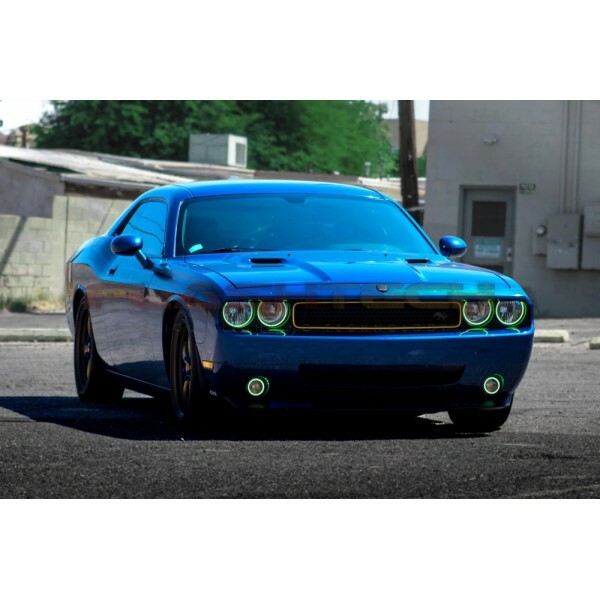 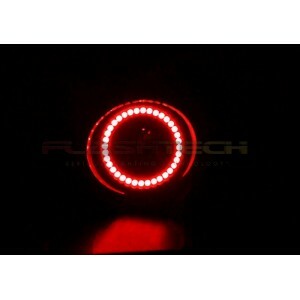 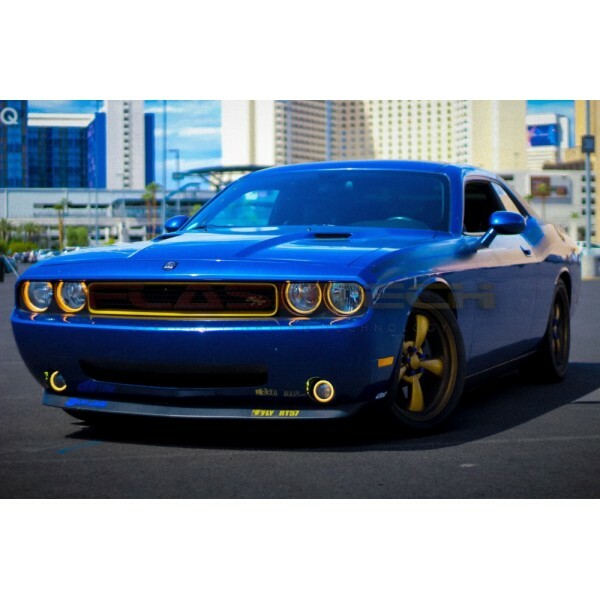 Dodge Challenger V.3 Fusion Color Change External Waterproof LED Halo Fog Light Kit 2008-2014, originally designed and uniquely manufactured by Flashtech, are the most advanced halo kit ever designed. 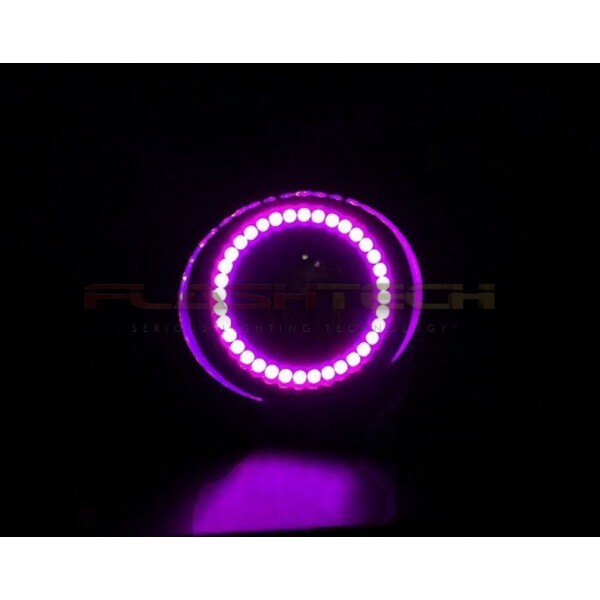 Flashtech’s Fusion color changing technology eliminates the frustration of choosing just one halo color and enables complete halo customization with the press of a button. Flashtech Fusion Color Changing surface mount waterproof halo kits come with everything you need to mount waterproof halos directly to the outside of your existing Fog Lights! 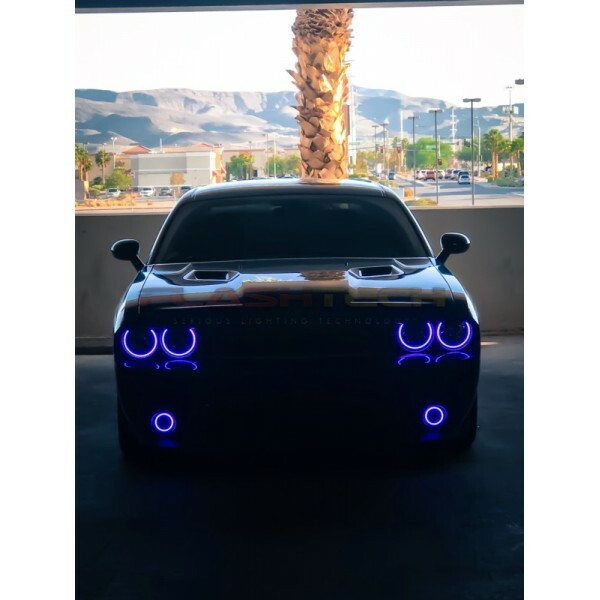 Each kit includes custom vehicle specific halos, complete installation instructions, and externally mounted waterproof LED drivers.